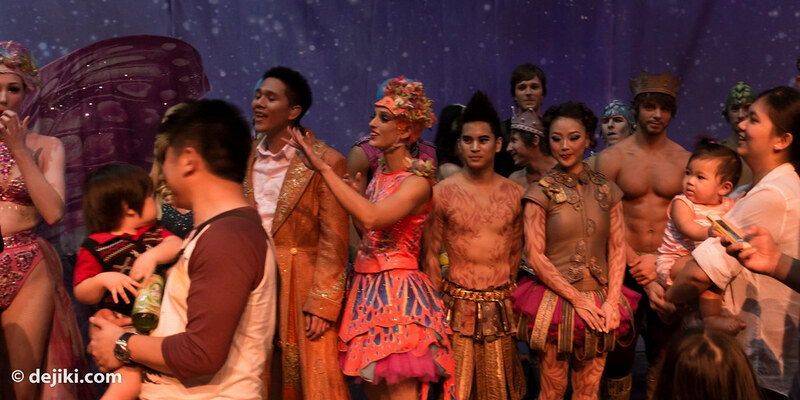 Voyage de la Vie is Singapore’s longest running theatre production, and the first homegrown theatrical spectacular. First public shows started in July 2010 – so it has a very commendable run of over two years. As the famous quote by Ralph Waldo Emerson goes “Life is a journey, not a destination.” The production revolves around the journey as its central theme, when the main character – The Boy – being frustrated by his distressing and monotonous life in the workplace, receives a mysterious package that transports him to a world of imagination. The Boy meets an ensemble of unique characters throughout his quest in this fantasy realm – sort of like Alice in Wonderland. I’ve wanted to watch Voyage de la Vie since 2010 but somehow never got to do it – the fact that it having an open-ended run meant that there wasn’t any strong compulsion. Then, I received a surprise in my inbox – another special event by RWS to attend! We were treated to Voyage de la Vie in its current iteration. A lot has changed since the “Jonathan Leong times” but the show still packs a decent length of about 80 minutes, with a bizarre pre-show – two of the show’s cast acting as ridiculously restless “tourists”. The actual show (80 minutes) has no spoken dialogue, but a few solo numbers sung by The Boy and The Muse. The first arc of Voyage de la Vie focuses on the two Messengers (Contortionists) as well as ensemble acrobatics to welcome the Boy into the strange new world. The second half has a greater emphasis on solo and duo acts – especially for themes involving dualism (Life and Death, for example). The Life and Death segments are what I feel the most spectacular, due to the greater perceived danger involved. 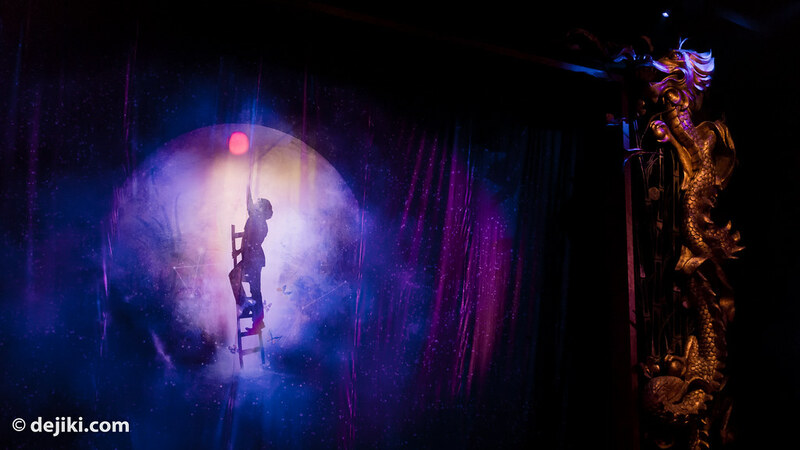 Life, portrayed by Liina Aunola, performed breathtaking Aerial rope and Cloudswing stunts – she moves so swiftly and precariously that it almost seemed like she might fly onto the audience. 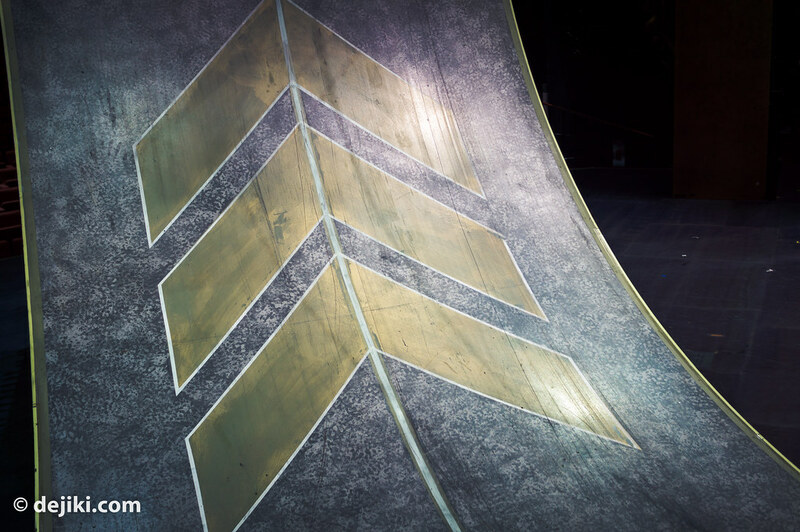 Martii Peltonen portrays Death, bringing some heart-stopping crossbow stunts. Thankfully, his signature crossbow acts are still in the show – Shooting a card facing backwards, and the Ring of 16 Crossbows. 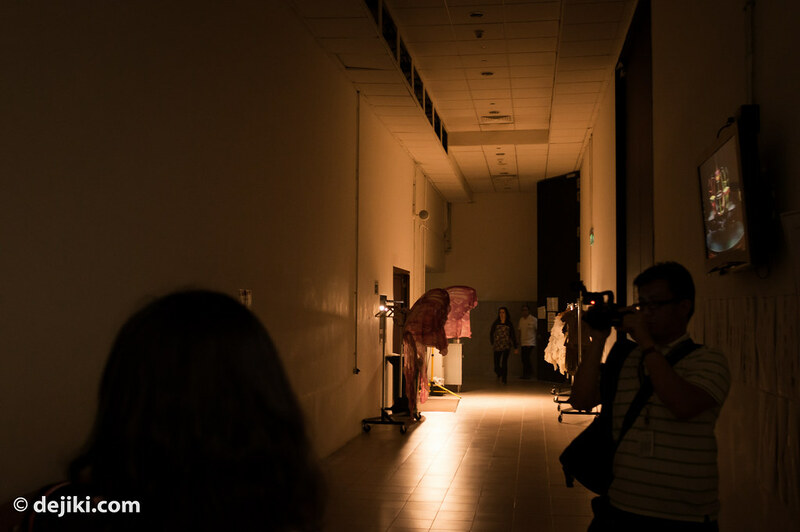 There is a strong East-meets-West fusion and several distinct visual themes throughout the show – from a Kampung village, a circus (it is one, after all), Starry night scenes, Chinese martial arts, Chess, and then there is an underworld. 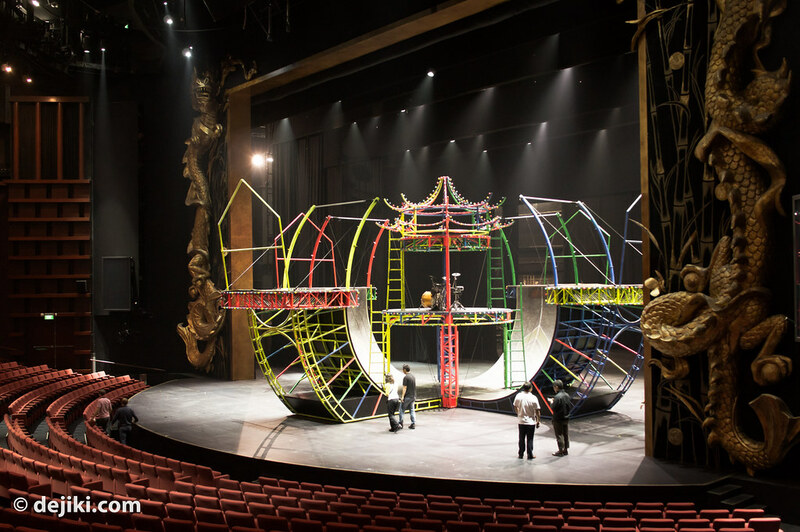 The finale is a spectacle, a rotating triple-deck platform with two overlapping half-pipes forming what the crew calls the “Carousel”. This set has a new colourful paint job – a surprising change from the original gold version. 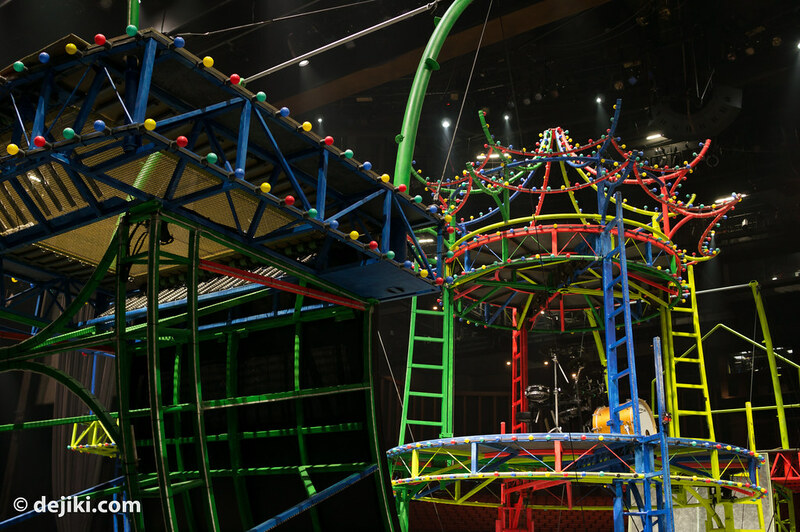 During the climax of the finale, the entire cast of acrobats, roller-bladers and dancers go all over the set, along with cyclists going around it. The bladers have pyrotechnics attached to their roller-blades, setting off a dazzling trail of sparks as they blaze across the structure. 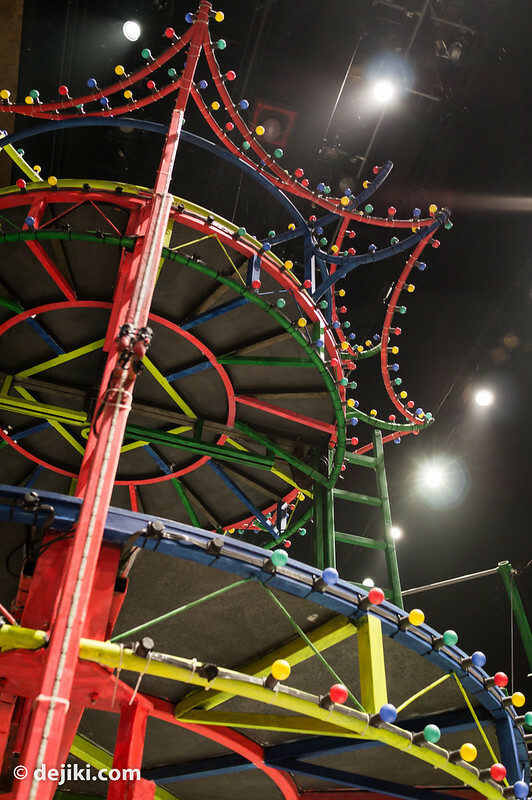 The entire Carousel then lights up, with LED lighting along the structure, and carnival-style lights on the higher horizontal lines of the set. It is very over the top but I’m quite impressed (minus the gaudy colours) that the finale had so much going on, and is perhaps the crowning “theatrical spectacular” achievement of its journey. Overall, Voyage de la Vie appears to me to as a show that has an amazing international cast of passionate talents, but a weak narrative to package their acts into one cohesive show. Which is a pity because of the show’s stellar acts, high production values and the amount of detail that has gone into the staging and costuming. The entire show seems to be built on a modular structure, with adding and dropping of acts as time goes by (which is a creative way of keeping the show alive when leaving acts are replaced with new ones) – which contributes to what seems to be an incongruous journey. While the Voyage de la Vie is designed to be open for interpretation, the individual acts contribute to the narrative in a highly abstract manner, which just makes it a very laboured experience for viewers – surely the producers are not expecting the audience to perform critical analysis? 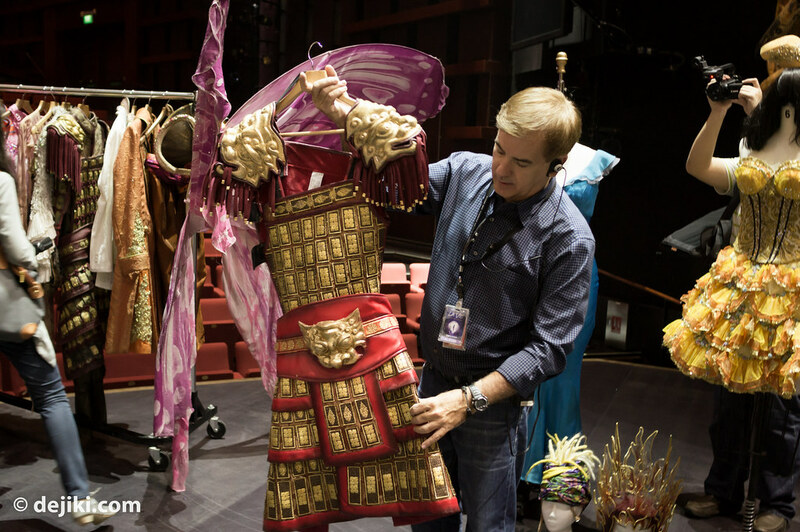 After the show, Michael La Fleur (Resident Director) hosted a special tour – introducing the cast, showed us around the stage, backstage areas as well as some of the cool props used in the show. Some members of the cast of Voyage de la Vie. After meeting the cast and crew behind the show, Michael brought us backstage. 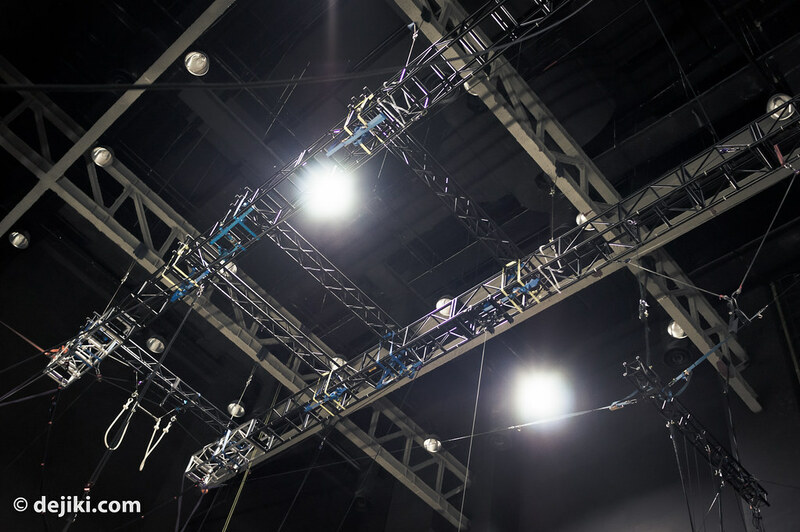 The training room is located behind an ancillary stage used to store stage sets. This is where the cast train and practice new acrobatic acts. 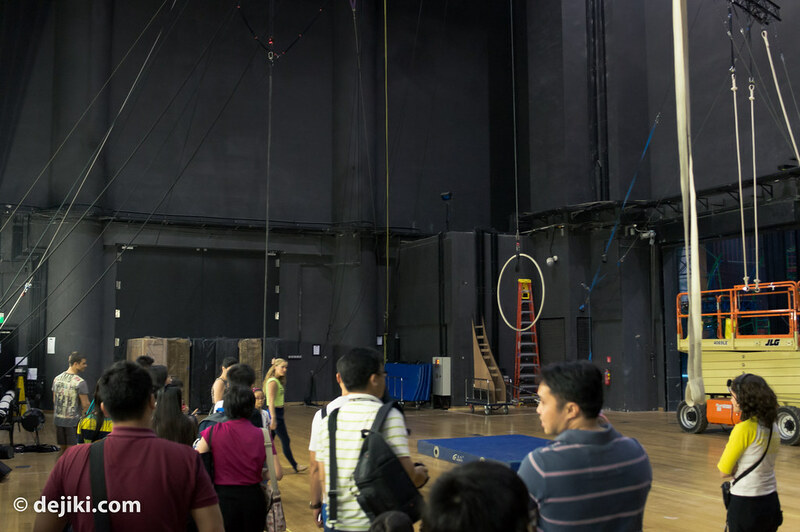 Two performers gave us a demo of the Aerial Hoop. We then moved on to one of the ancillary stages. I was most excited to see the Ring of Crossbows up close. They’re certainly not using “wired” arrows! Michael then showed us some of the show’s costumes. 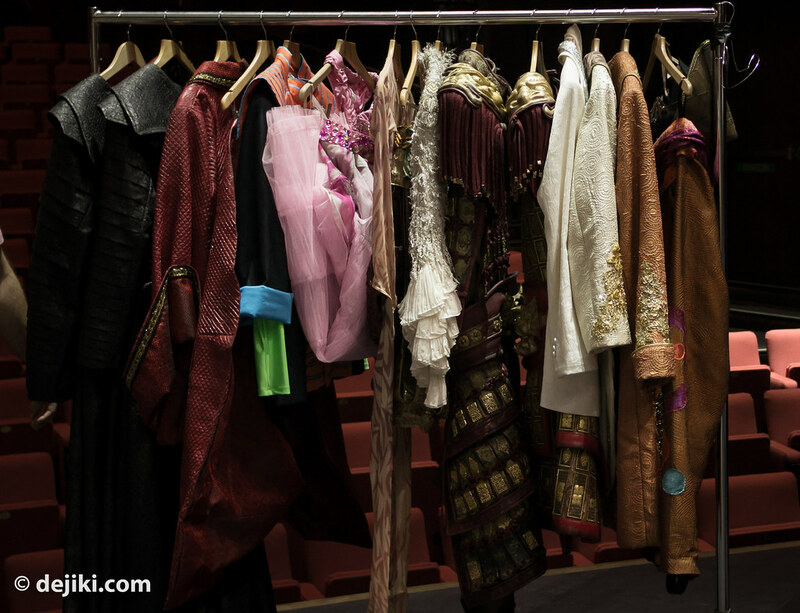 Like all theatrical productions, the costumes are heavy – both on details, and the actual weight. 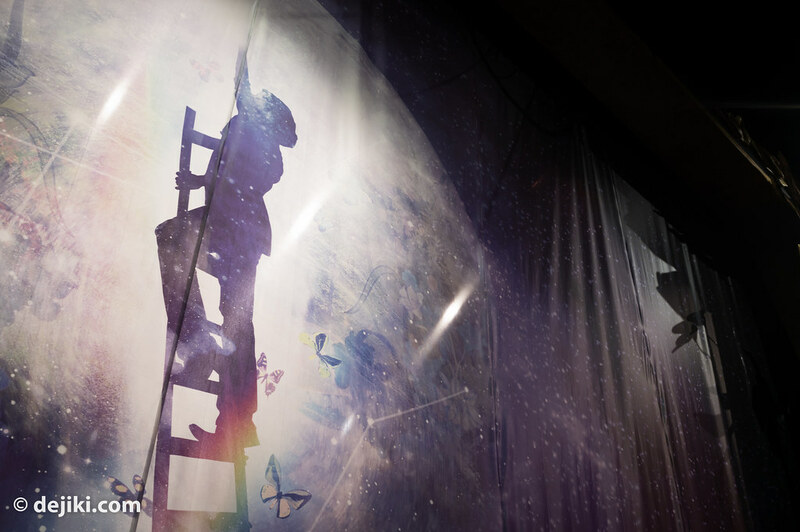 Michael went through with some pieces, showing how the small details, with theatrical lighting, creates a certain visual aesthetic during the show. 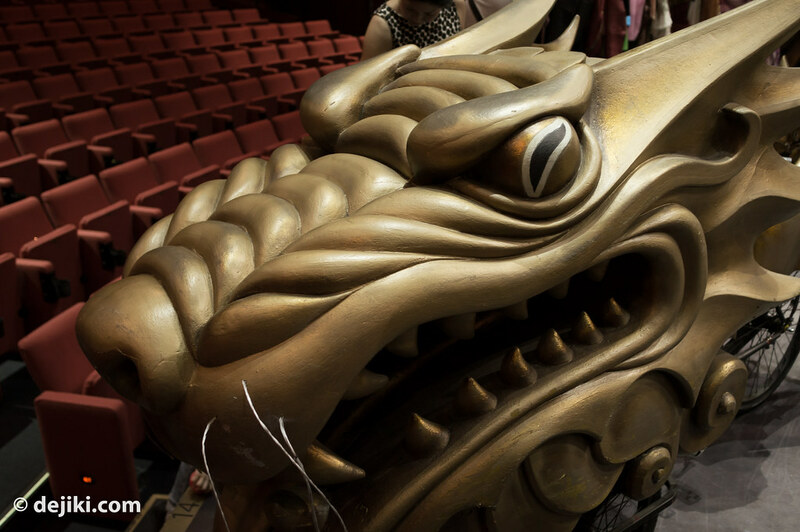 One of the dragons, which is mounted on a bicycle. 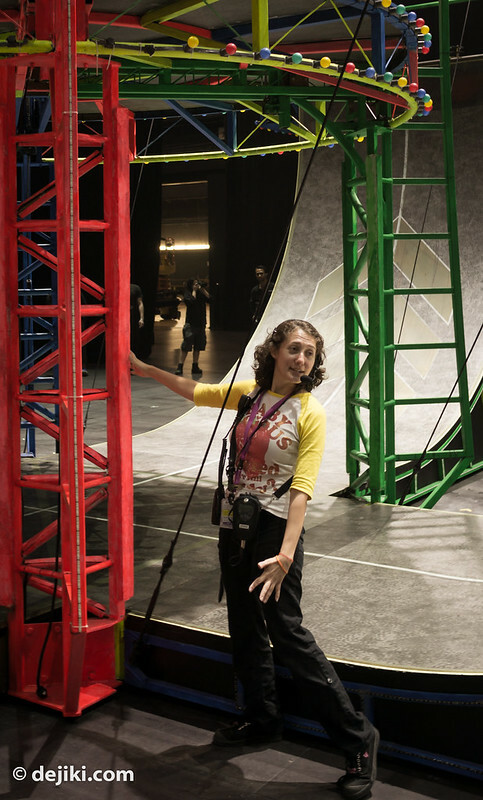 Jessie Ksanznak (Production Stage Manager) accompanied with us during the tour around the stage. 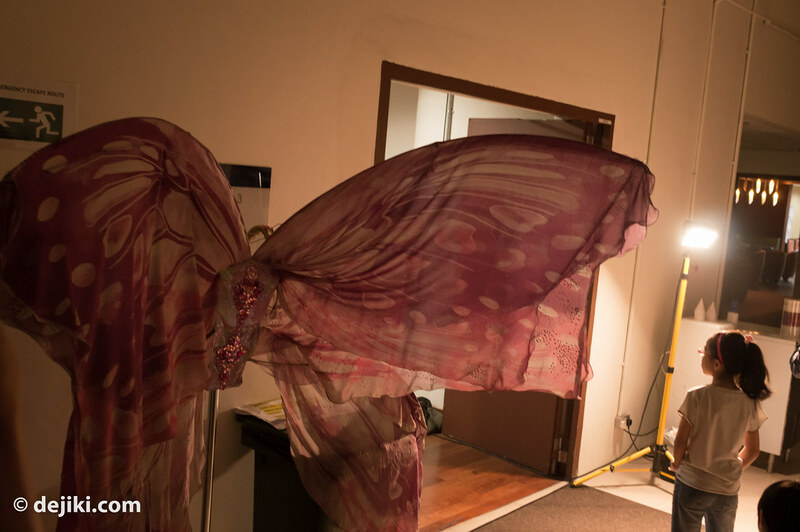 She is the paragon of safety for the production (and the tour as well!) Over here she is giving us a short safety brief before we went on the Carousel for a spin. 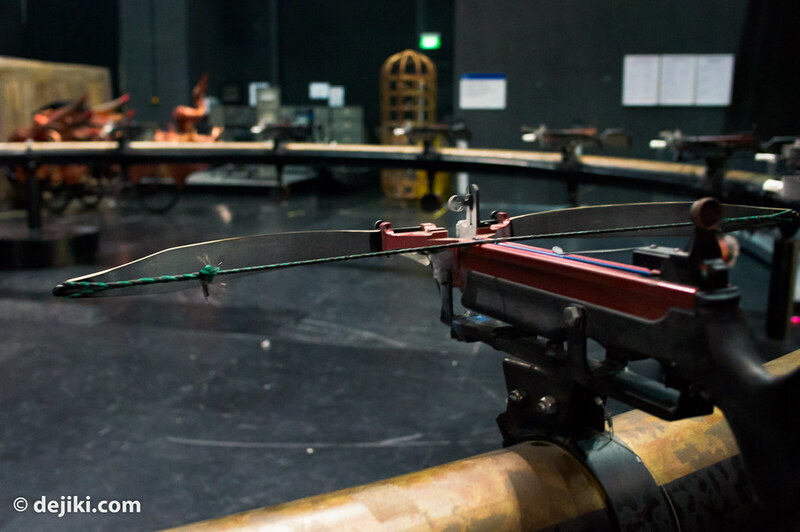 Strips of LED lighting as well as the carnival-style lighting line the edges on the Carousel. One of the ramps on the Carousel. Resorts World Sentosa has not announced a replacement for Voyage de la Vie and the show will not be performed at another venue. The cast is set to disband after the last show. Voyage de la Vie is now in its final week, with its last performance on 16 July 2012. Ticketing information is available at Voyage de la Vie webpage. Special thanks to Resorts World Sentosa’s Communications Team and the Voyage de la Vie Team for organizing this event and hosting us for the evening. I have been considering about going to the show, and I was surprised when I learned a few days ago that it’s going to end. I probably won’t be able to see the show…It’s not a must-see for me anyway.